It’s not the one pest you see. It’s the thousands you don’t. With the summer heat giving bugs the opportunity to chill in our homes, it can be a huge nuisance to deal with. Not only can bugs get everywhere and anywhere, but certain ones can be dangerous. But, with that being said it doesn’t need to be a bigger pest to keep common household bugs and insects out. Here are four simple ways to bug-proof your home. Using aromatic pest deterrents is always a great and easy way to stay naturally, pest-free in your home. Natural pesticides like citrus and cucumber peels, white vinegar, herbs, and oils are great barriers for keeping bugs out. Applying these in entrance areas or locations in your home where pests are most attracted to can keep them out and away. Remember, bugs love messes and sweet odors. 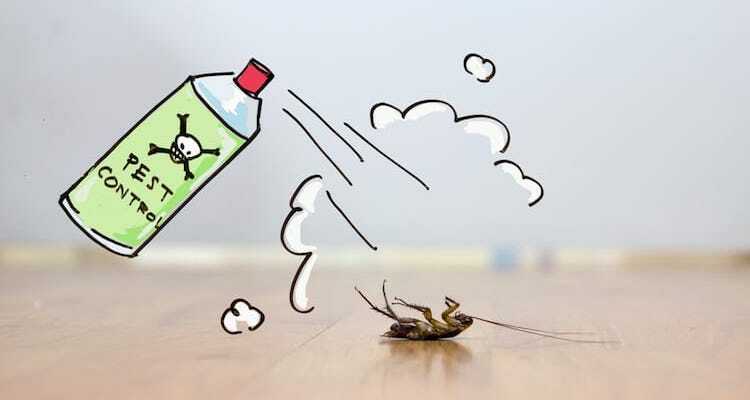 Keeping your home clean is the best way to drive away pests. Keep the kitchen clear of crumbs, exposed water cups, and dirty dishes. It’s also recommended to vacuum regularly, take out the trash daily, and keep an eye out on your fresh fruit and pet bowls that could also gravitate pests. Repair and seal anything that could create a pest entrance to your home. Check your windows, entrance doors, vents, pipes, walls, chimney, and roof for common gaps, cracks, tears in screens, and loose weather stripping. Be sure to also keep your food in sealed containers in pantries and cabinets. If your pest problem still isn’t in your control, hiring pest professionals can always make a huge difference. Pest professionals are experts in terminating bugs regarding the different types, problematic areas, and more. In addition, it’s common for bug exterminators to follow up for any further issues leaving your home pest-free.